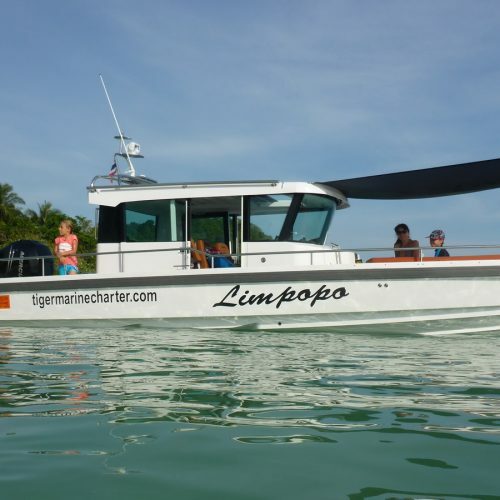 This 2016 model Axopar 28 Cabin features a spacious, bright and comfortable cabin with wide sliding doors and a large sliding canvas roof. 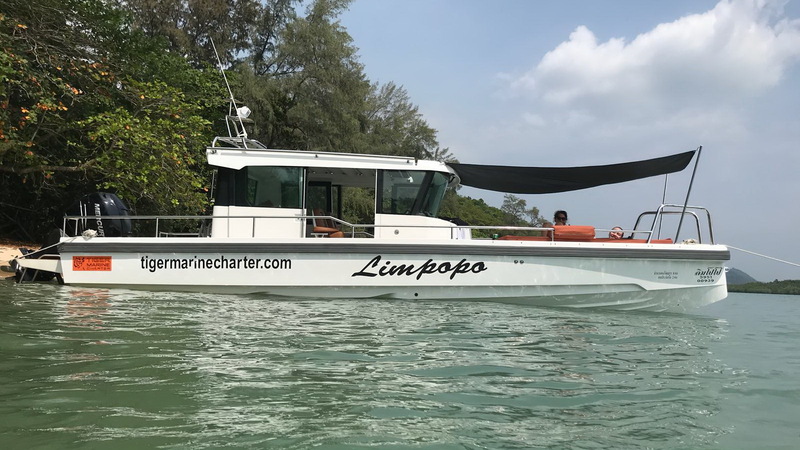 The sofa inside the cabin converts into a double bed and on the foredeck there is a good sized toilet with sink so the boat can be used for occasional overnight stays on board. 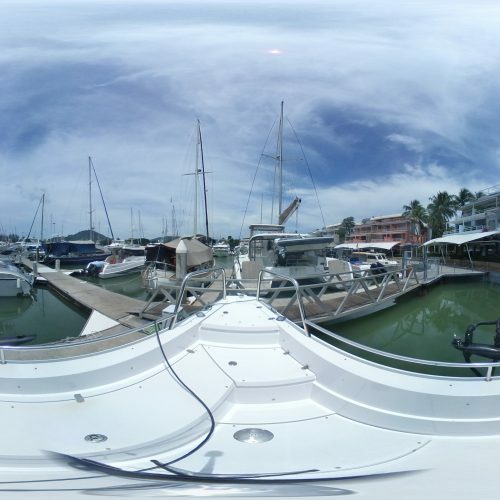 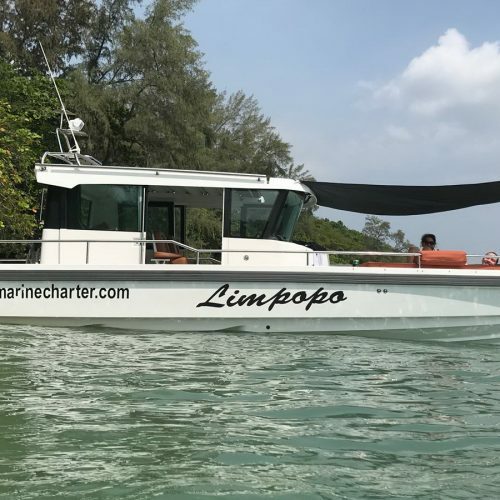 It has ample space on the aft deck for all on-water activities such as fishing and scuba diving and two large storage lockers under the deck. 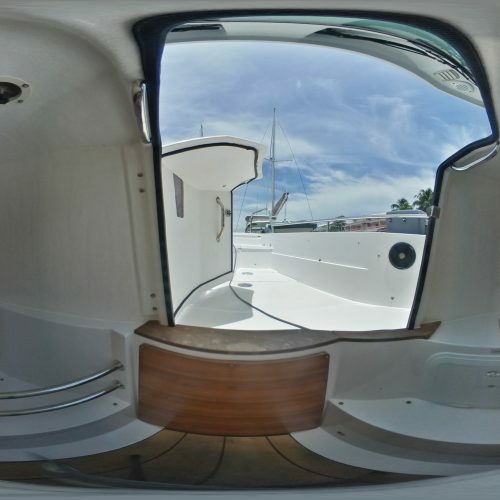 On the foredeck there is a large social seating and dining area that can be quickly and easily converted into a sun bed. 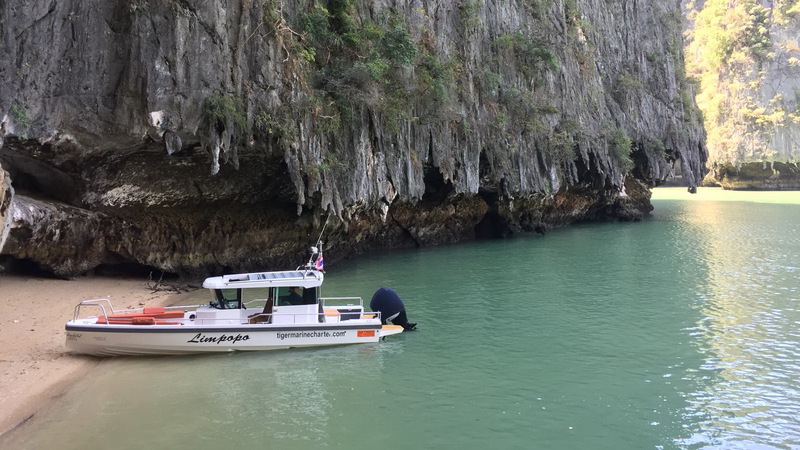 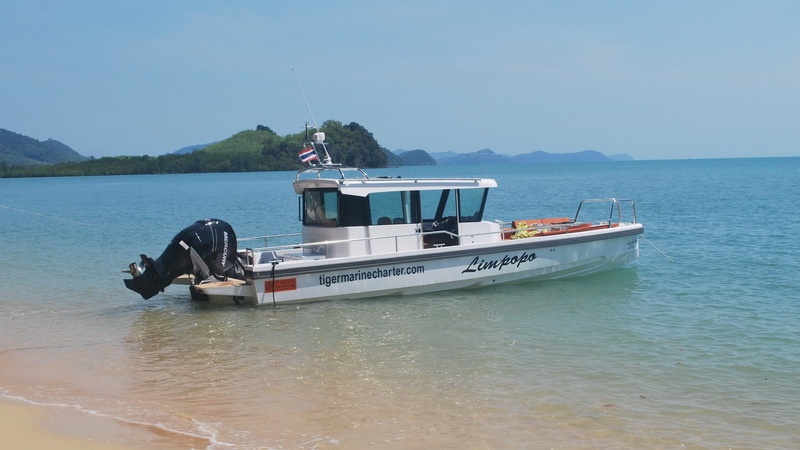 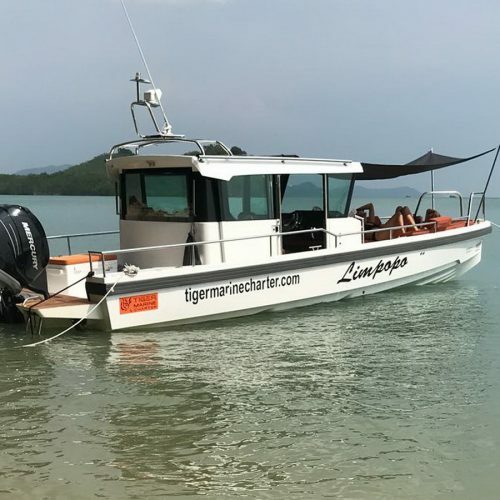 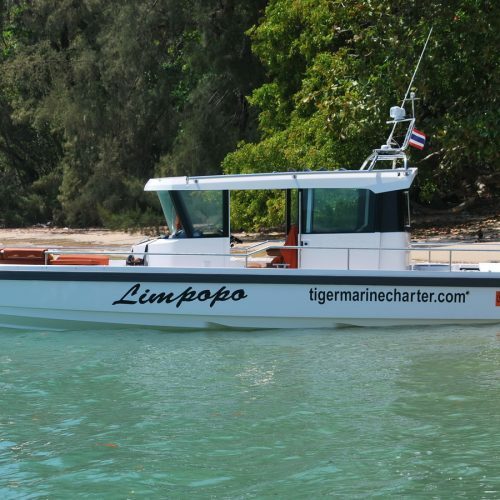 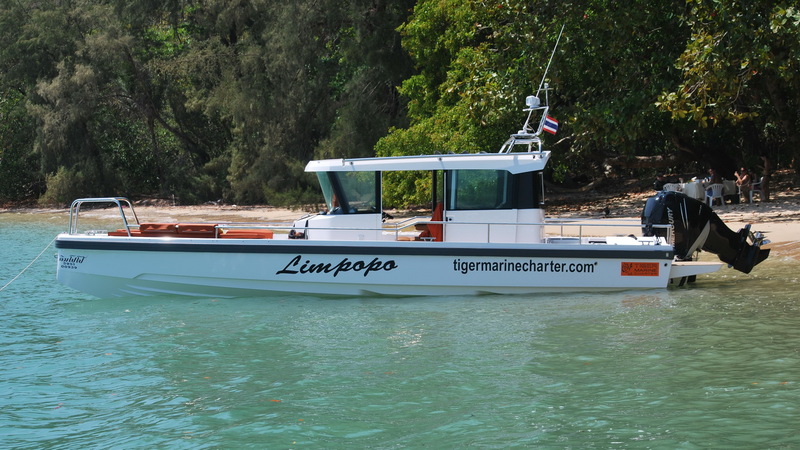 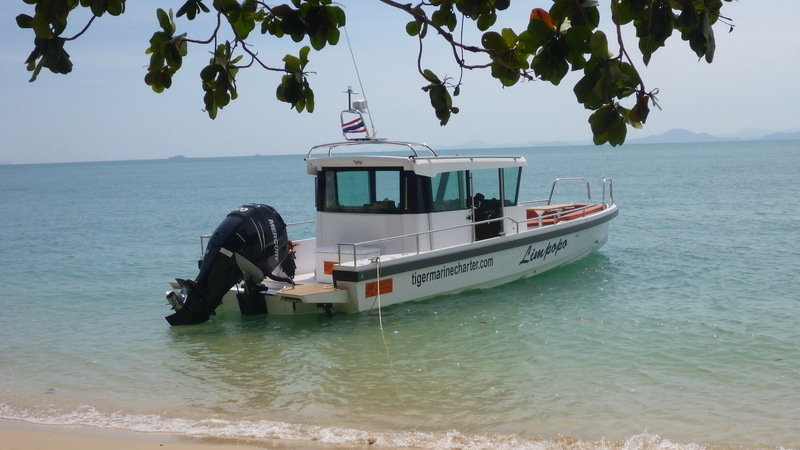 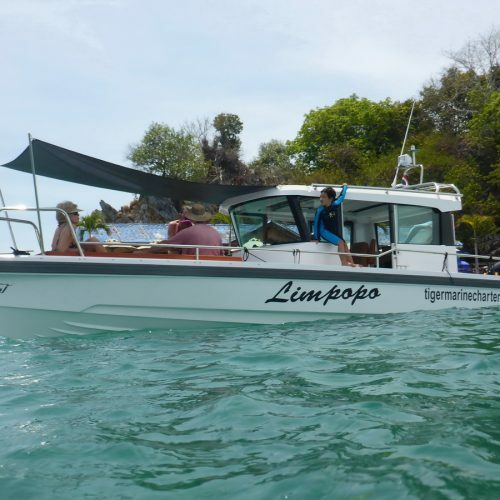 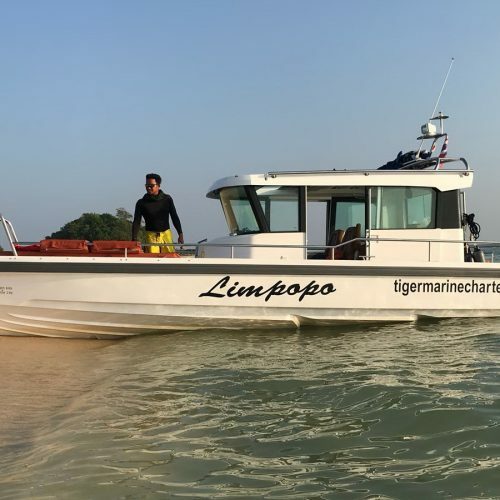 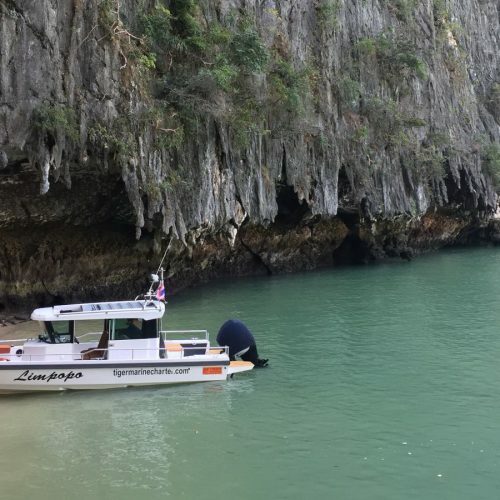 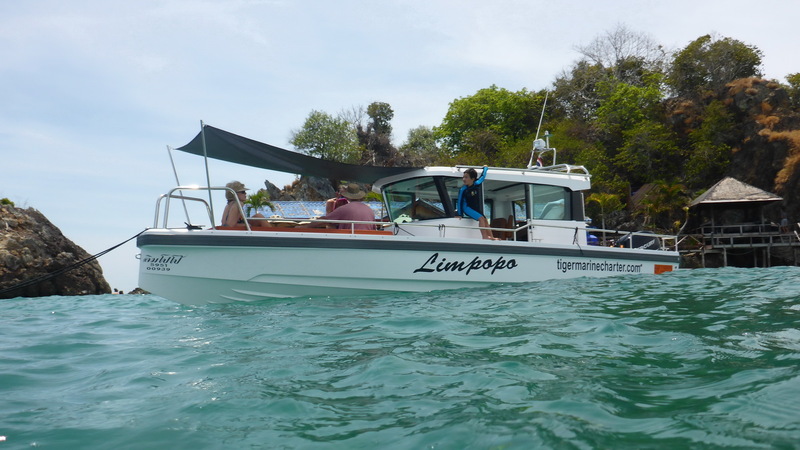 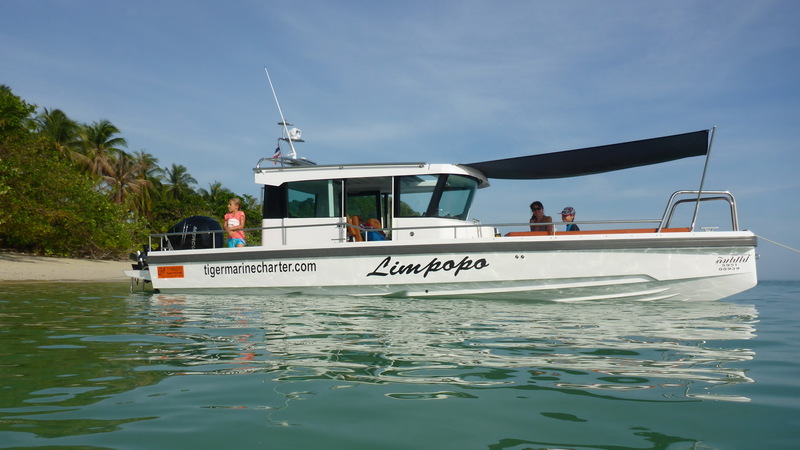 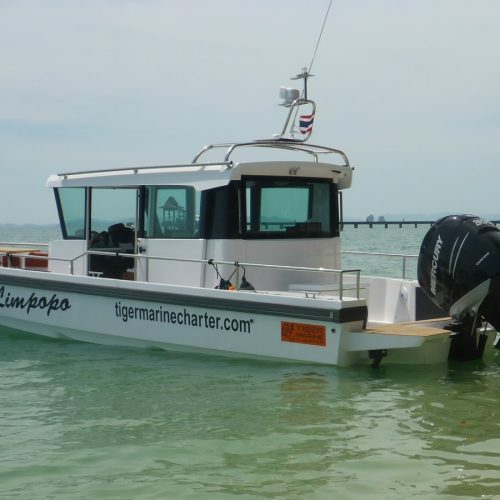 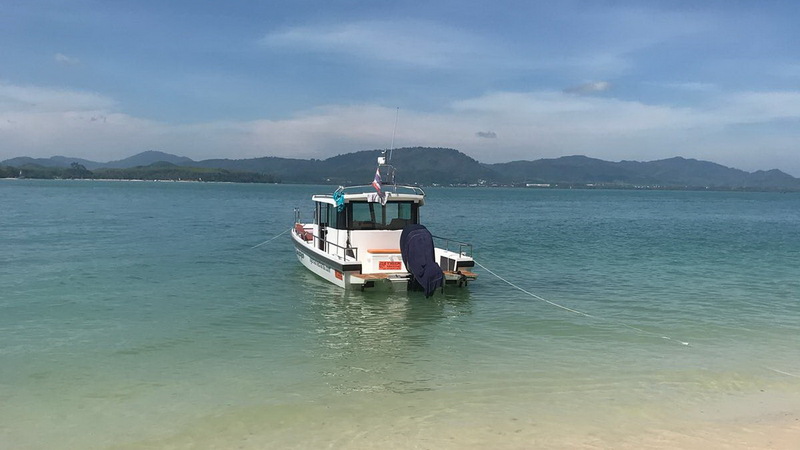 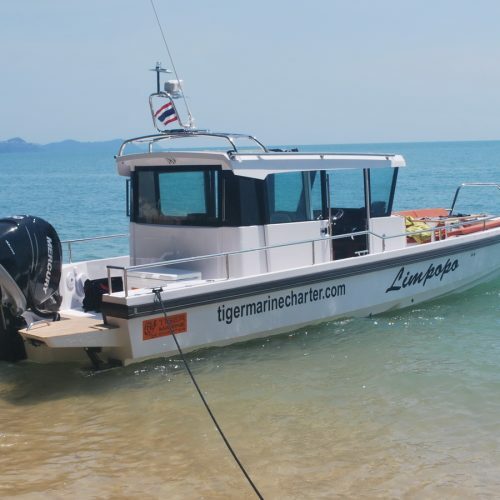 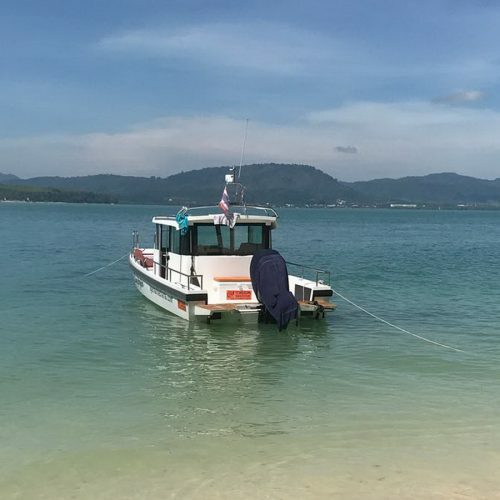 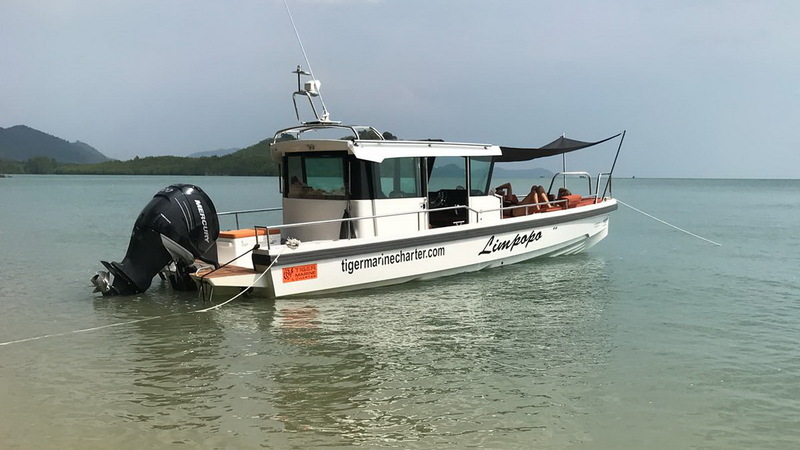 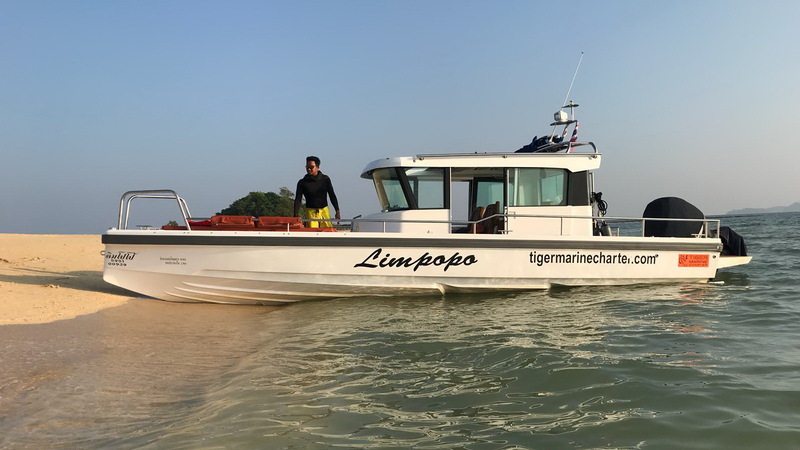 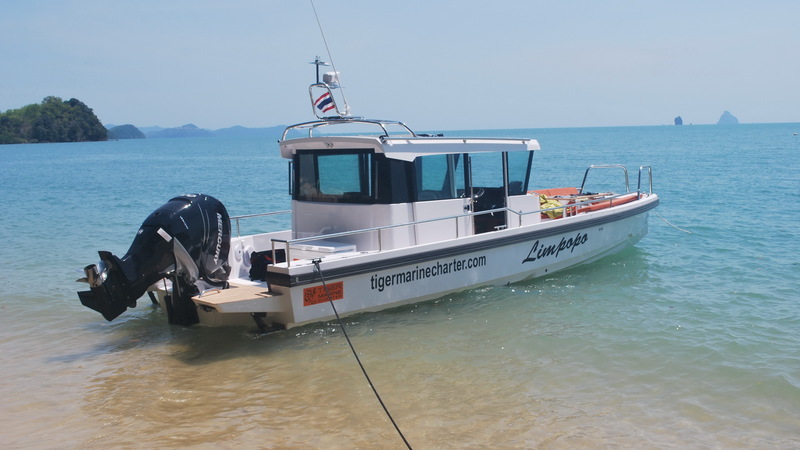 This was the first Axopar sold in Thailand and has been used privately and also for crewed charters. 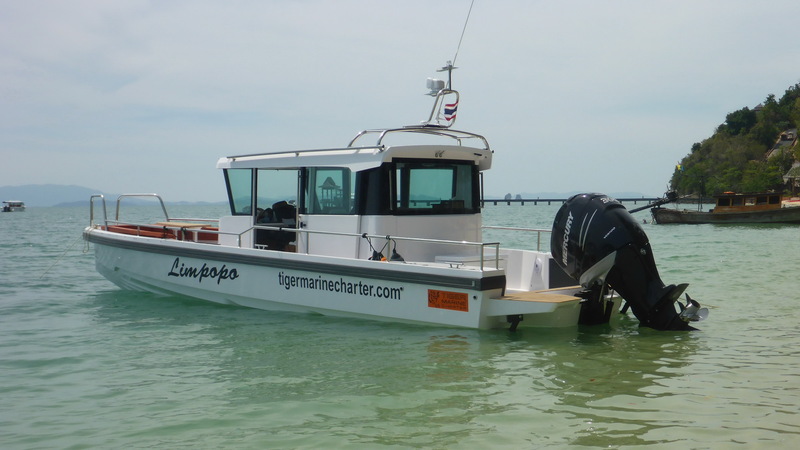 The single 300 horsepower Mercury Verado engine has 560 hours recorded and a full service history from the local Mercury dealer. 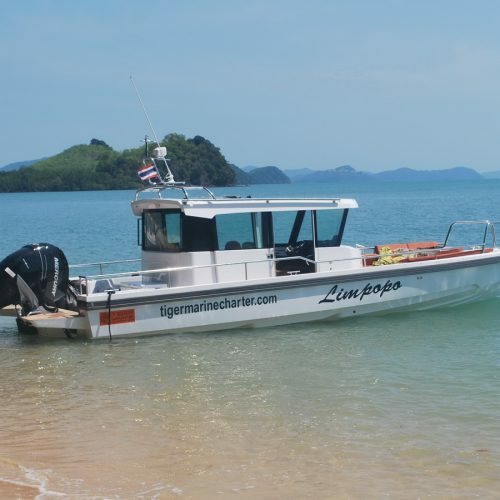 The boat is Thai registered it is ready to go. 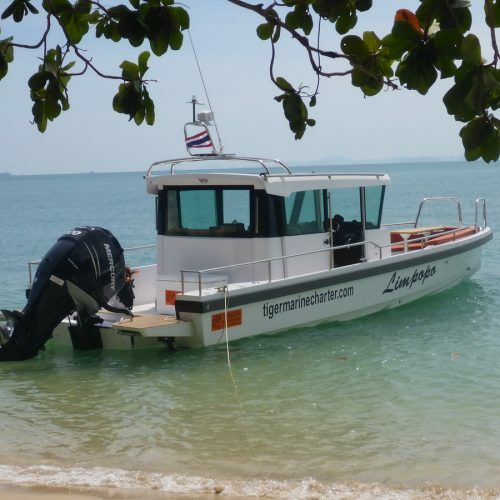 An airberth is also available for sale separately. 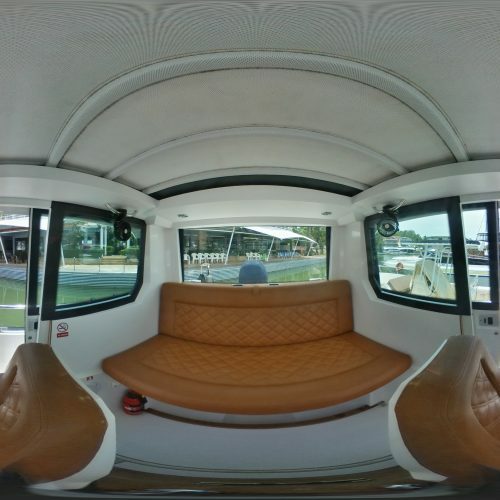 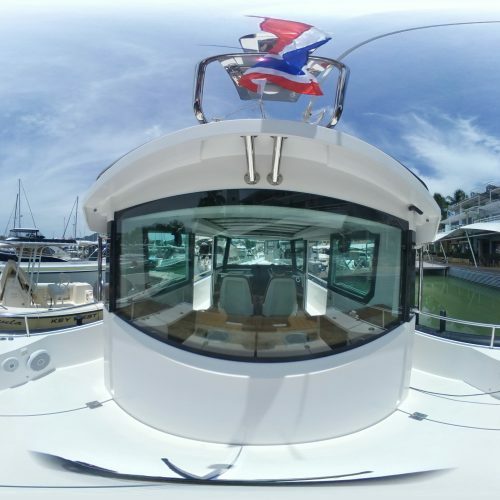 Whether for cruising, fishing or just unwinding with friends and family you’ll love this Axopar 28 Cabin. 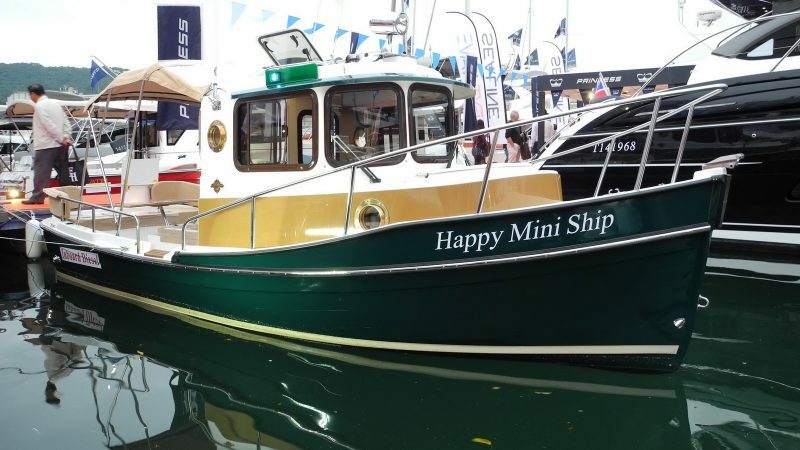 Beat the wait for a new boat and get out on the water today!